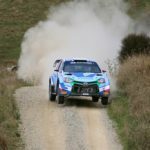 Hayden Paddon and John Kennard, New Zealand’s most successful rally pairing, are back together for this weekend’s Rally Otago in their Hyundai i20 AP4 rally car. 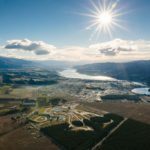 The 12-14 April rally is the opening round of the Brian Green Property Group New Zealand Rally Championship and, for the first time, also a round of the FIA Asia Pacific Rally Championship. 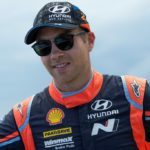 That..
Kiwi rally star Hayden Paddon has confirmed a new contract with Hyundai New Zealand, with the New Zealand-owned company increasing their support of both Paddon personally and Paddon Rallysport as they undertake a swathe of new projects. 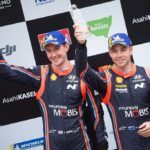 Paddon will continue to represent the Hyundai brand with all his and the team’s motorsport endeavours, as he dives into some exciting and.. This year brings a new era for Paddon Rallysport as the team behind Kiwi rally star Hayden Paddon embarks on fresh plans with an international focus from their new base at Highlands Motorsport Park in Central Otago, New Zealand. The first step has been for the team to lease a state-of-the-art workshop at Highlands, right near the pit straight of..
WRC driver and Production World Rally champion Hayden Paddon is the latest addition to the Global Rallycross Europe championship grid. 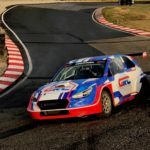 Hyundai factory driver Hayden Paddon has made the switch from WRC to GRC for the series’ inaugural 2019 season. The New Zealander will be driving a Pantera RX6 car with a Hyundai i30 body kit. 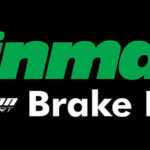 “I have been in Rallying..
Kiwi rally driver Hayden Paddon has been working with the Japanese high-performance brake pad manufacturer Winmax Brakes over the past five years. This close working relationship has contributed to the development of specific brake pad compounds and styles for the New Zealand rally scene, and Paddon’s New Zealand operation, Paddon RallySport, has imported and distributed the pads. 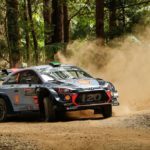 With the ‘Winmax..
New Zealander Hayden Paddon aimed to push hard at this week’s final round of the FIA World Rally Championship in Australia and, with co-driver Seb Marshall alongside, he did – scoring a hard-fought second place. In what was a dramatic final day of the season near the coastal New South Wales town of Coffs Harbour, fans followed the lead changes..
New Zealander Hayden Paddon and his British co-driver Seb Marshall will be pushing hard at this week’s final round of the FIA World Rally Championship in Australia, striving to end the season on a good note. 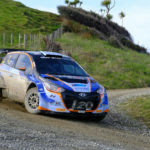 “After a podium finish here last year, it would be good at a minimum to repeat that,” says Paddon of the 15-18 November event..
Hayden Paddon has won the final round of the 2018 New Zealand Rally Championship in Raglan in his Hyundai i20 AP4+ car, giving Hyundai New Zealand their first-ever NZRC manufacturers’ championship title. Paddon made the win look easy with a margin of nearly five and a half minutes over second-placed Ben Hunt, having set the fastest stage times on all..
Kiwi rally driver Hayden Paddon and his British co-driver Seb Marshall finished Wales Rally GB, the 11th round of the 2018 FIA World Rally Championship, with a consistent and close-fought seventh place. 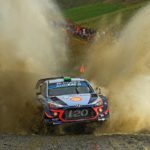 After three days and 317.74 kilometres of rallying through northern and mid-Wales, just 15 seconds separated Paddon’s Hyundai Motorsport team-mate Thierry Neuville in fifth place and Mads Ostberg..